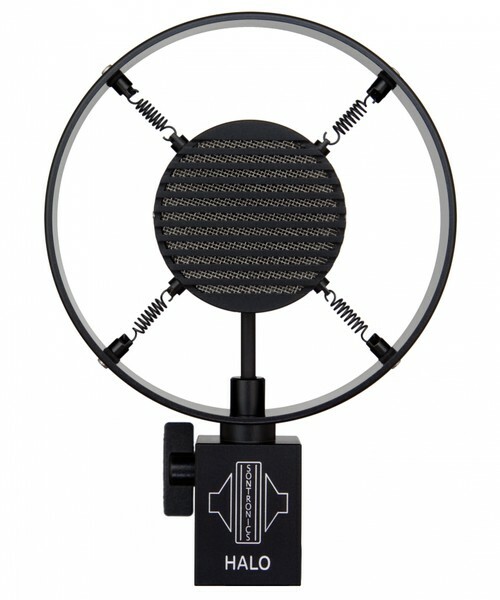 The Sontronics HALO is a striking dynamic microphone that was designed by Sontronics' founder and designer Trevor Coley specifically for use on guitar amps and cabinets. The HALO features a dynamic capsule suspended on a four spring mounts within a retro-design circular frame, and is the best-sounding dynamic microphone that you can put in front of your guitar cab! Engineers and technicians have long relied on dynamic mics to record amplifiers, both live and in the studio, but being a guitarist himself, Sontronics' Coley wanted to create something that looked a bit more exciting than a regular handheld mic to put in front of the amp grille. As we already knew that users were getting stunning results on amps (as well as vocals) from our best-selling STC-80 handheld dynamic mic, we decided to adapt that dynamic capsule to fit into the HALO's vintage-looking body and also enhanced the circuit slightly to allow the mic to capture the exact frequencies of any guitar amp. The result was the Sontronics HALO, which gives you all the bite, crunch and presence you could ever wish for, without needing to lay a finger on the EQ control (just like the STC-80). No guitarist or live technician should be without a Sontronics HALO! 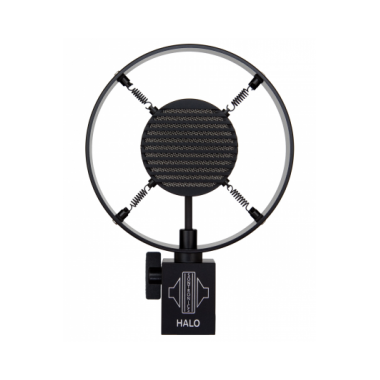 HALO really is indispensable for any recording or gigging guitarist, as it gives amazingly accurate and realistic results, plus the recorded signal is completely clean and free of EQ, and therefore sits in the mix beautifully. Because of its frequency response and peak presence, the HALO is also very well suited to recording other amplified string instruments (such as electric violin) and also plucked instruments such as banjo, 6- and 12-string acoustic guitar, bouzouki and others. It also sounds fantastic on harmonica! Interestingly, despite never being designed with voices in mind, HALO is often used for vocals and many people get brilliant results, especially for live performances. French jazz/techno band Caravan Palace use HALOs for their live vocals and it was even used by Robbie Williams for a recent vintage-themed swing performance. Sontronics HALO can be placed directly in front of any guitar amp or cabinet without fear of overloading the dynamic element. Experiment with placement but we recommend about 3 to 5cm out from the grille, positioned at the edge of the speaker cone (you should be able to see it through the cloth). When recording amps in the studio, you don't need them turned up past 5… even at low gain, the amp's tone and character will be captured by HALO. 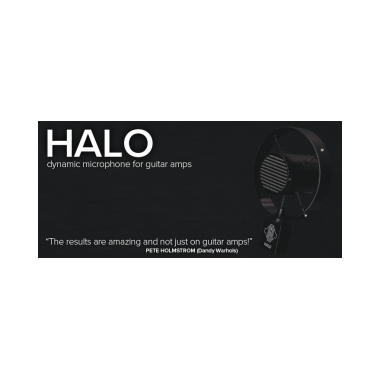 Try a HALO today and you'll hear your guitar and amp with a totally unmatchable level of clarity and beauty! Contact us or visit your local Sontronics stockist to arrange a demo. Sontronics HALO is supplied with a free Sontronics plectrum and, like all our mics, is protected by our LIFETIME WARRANTY. If for any reason your HALO becomes damaged when subjected to life on the road let us know, and we'll help get you and your mic back up and running again.